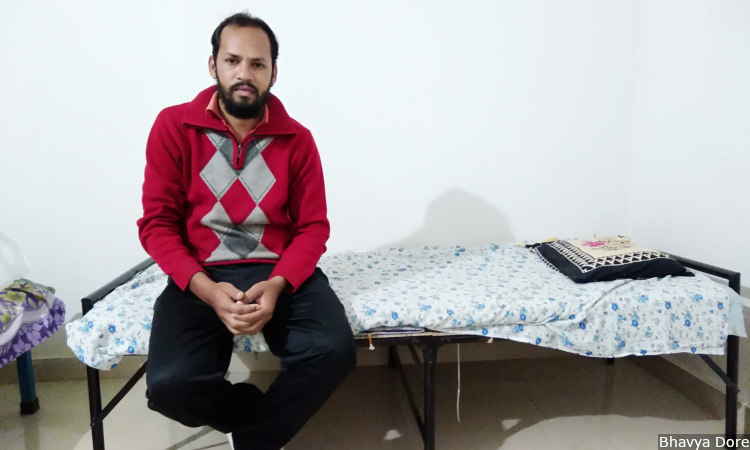 Sunny Maida, a pastor, was present during an attack at a Christmas event in Pratapgarh in southern Rajasthan in December 2017. In three such attacks against Christians recorded in Hate Crime Watch, the events followed a pattern: a Christmas event, an allegation of conversion, an attack. Christians form 0.14% of Rajasthan’s population. Banswara, Pratapgarh, Alwar: As carol singing wound down and darkness descended on the Rati Talai neighbourhood of south Rajasthan’s Banswara town on December 14, 2016, Stephen Rawat, a local priest, was getting ready to leave a parishioner’s house when he heard a noise. This incident is among three similar attacks in Rajasthan that are recorded in Hate Crime Watch, a database of religious identity-based hate crimes across India from 2009 to 2019, maintained by FactChecker. Each followed a pattern: a Christmas event, an allegation of conversion, an attack. A fourth incident recorded involved a dispute between neighbours hosting their respective religious functions, a Christmas event and a bhajan (Hindu hymn) programme. 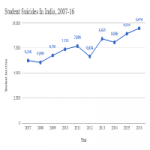 The factors fueling such attacks include opposition of majority Hindus against Christian conversion, and a history of Christian missionary activity that is now matched by Hindu reconversion activity in the largely tribal pockets of the state. 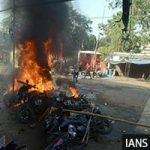 In the Banswara attack on Rawat, the police registered a first information report (FIR) against unknown assailants for wrongful restraint and causing hurt. The case was eventually closed, though the police undertook surveillance against those opposed to conversion activities in general, according to the police’s final report. A second incident, also in December 2016, involved a pastor in Salpura village in Alwar district and hewed to the same formula, though no police complaint was filed either against alleged conversion or for assault. A year later and 90 km away, a similar event unfolded in Pratapgarh town, metres away from the District Collector’s office. A few hundred guests, mostly tribals from nearby villages, had gathered for dinner following a two-day Christmas event at a community hall on December 20, 2017. Around 9 pm, a group of men entered the premises along with the police, alleging this was a conversion event designed to trap hapless tribals. They roughed up some guests, destroyed property and shouted slogans, some purported victims and eyewitnesses told FactChecker. 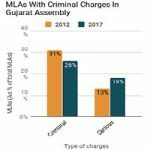 No complaint was lodged against the organisers on the allegation of conversion, but eventually three of the alleged intruders were charged under Section 296 of the Indian Penal Code related to disturbing a religious assembly. 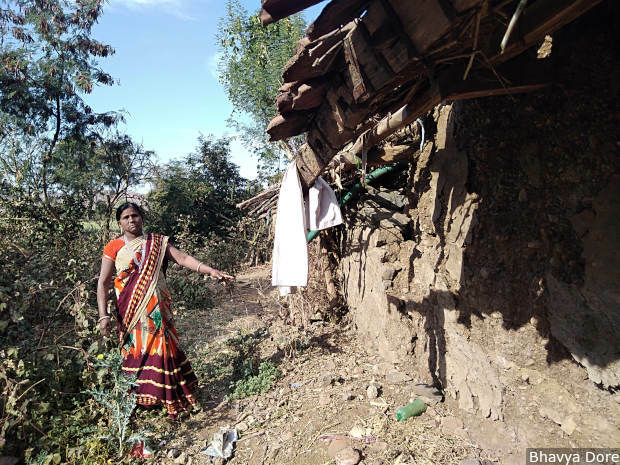 In a fourth case in Sabalpura village in Banswara district, a Christmas gathering at a home-church was attacked by a Hindu group, including a few neighbours, over “volume levels”. FactChecker has copies of all the FIRs, chargesheets and closure reports in each case, wherever filed. Christians form 0.14% of the population of Rajasthan, and tend to be concentrated in the south where there is a larger tribal population. Banswara district’s population itself is 76.4.% tribal–much higher than the state’s figure of 13.5%–and 1.24% Christian. The earliest missionary activity in Rajasthan was in Banswara; by some accounts, as early as 1841, with the establishment of the Mewar Bhil Corps, a British military unit. As the tribal population comprised some of the least developed and economically marginalised groups, continuing missionary activity over time brought succour by way of health and development services. The police say poverty is a major factor that propels conversion. Hindu activists say tribals are naive and misguided, easy prey for missionaries. Laxman and Ranglal Meena, pastors in Pratapgarh in southern Rajasthan, were among the organisers of a Christmas event in December 2017. The event was attacked by Hindu right-wing groups alleging that it involved religious conversion. Devchand Bhuriya and his wife Risham–whose home-church in Sabalpura, Banswara district was attacked–started believing in Christ 16 years ago after recovering from an illness. In 2008, the Rajasthan state assembly (legislature) passed the Dharma Swatantrata Bill to prevent forced conversions, but the bill was not cleared by the president (after having been approved by the state governor). The proposed punishment includes a prison term of between two and five years. Odisha, Madhya Pradesh, Gujarat, Himachal Pradesh, Jharkhand, Arunachal Pradesh and Uttarakhand already have similar laws in place. Saini said the villagers previously had good relations with Chand, and insisted that no violence had taken place. Chand alleged that he was roughed up and threatened, and that subsequently, some unknown men encircled his house and opened fire. His brother Mahindra said they joined the Rashtriya Swayamsevak Sangh (RSS)–the right-wing, Hindu nationalist parent organisation of the BJP, currently in power at the Centre–a few years ago. “We learned if everyone converts [to Christianity] then Hindus are over, our traditions are over,” he said. In Pratapgarh district, members of the RSS, VHP and Bajrang Dal–a religious militant organisation that forms the youth wing of the VHP–spoke to FactChecker about the threat of changing demographics. Jain’s speech was full of sinister insinuation: he claims the Christians bribed the police and suppressed the matter, even though their “scheme was exposed” and they did not have permission for conducting their event. 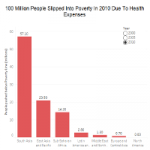 The Christians said that contrary to paying off people, they had incurred a loss of Rs 19,000 from the destruction of property and premature closure of the event. They claimed they had permission. Rawat said any activity, whether prayer or singing or mass, can be misunderstood and conflated with conversion. In none of the cases did the police book the Christians accused of forcibly converting people. Bhuriya, whose home-church in Banswara was attacked, has a nephew who said he is Hindu, but that he attended the prayer services at his uncle’s home-church. Laxman Meena of Pratapgarh also said he did not consider himself Christian, but believed in Christ. Besides Christians, there are Hindu groups active in the tribal region. In 1978, the Vanvasi Kalyan Parishad (VKP), affiliated to the RSS, opened a wing in Rajasthan. They have 335 educational institutes and also provide other development services. The VKP covers 32 blocks and 2,000 villages and has many activities listed among its goals including providing schools, water, welfare, medicine and “cultural development”. “Cultural development includes to “protect their identity, beliefs, religious faith and culture” and “fight against any kind of anti-national activity like conversion of one religion into another”. In MS Golwalkar’s tract Bunch of Thoughts, Christians are identified as one of three “internal threats” for undertaking “anti-national” and “irreligious” activities in the country. In 1996, VHP leader Giriraj Kishore spoke of making Banswara “issai mukt” (Christian-free) by 2000, according to reports. “Our main goal was to stop the work of missionaries,” said Mukesh Saraf, treasurer of the Jan Seva Samiti which oversees the Bharat Mata Mandir Nyas’ chain of ‘Vidyaniketan’ schools across four districts, on why they set up their schools. “We think we have succeeded or the whole belt would have changed.” He said there was no violence any more, but in earlier years, Christians would attack, and they would respond. 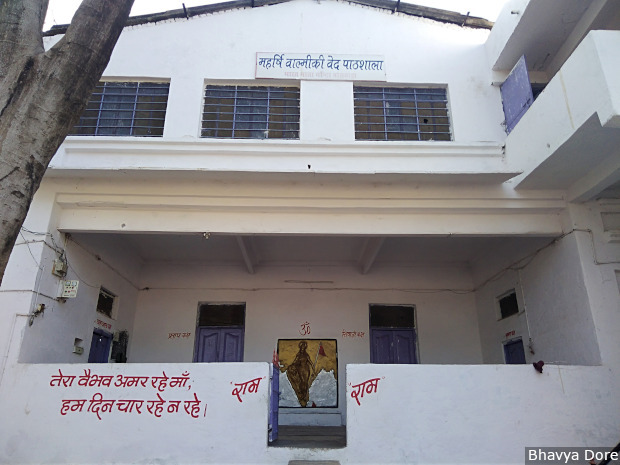 A Vidyaniketan school run by the Bharat Mata Mandir Nyas in Banswara town in south Rajasthan. These schools were set up to serve tribal populations. The first of 346 Vidyaniketans was set up in Mokhampura village in the 1990s, directly opposite a church. Bharat Mata Mandir holds monthly bhajan (hymn singing) programmes and havans (a Hindu ritual involving offerings to the fire) in the villages where it works, where local workers talk to families seen to be susceptible to conversion. Through their schools, the organisation emphasises the problematic argument that tribals are essentially Hindu. “Only if the people talking to them are from their society will they listen,” said Saraf. Are tribals historically Hindu? Hindu groups believe they are. Some tribals say they are, others say they are animist nature-worshippers. “In our area tribals are animated by the Sangh that they are Hindus and they shouldn’t go to Christianity or other religions,” said Rawat, the priest. Rawat is a Bhil tribal who was born into the faith as a fifth-generation Christian. He believes the men who attacked his carolling group were tribals, though no one was ever arrested. Both Hindu and Christian groups detect pecuniary motivations and a grand design in each other’s efforts. “They are using adivasi [tribal] people. People I know say they are getting benefits from these organisations if they reconvert a Christian person to Hinduism,” said Sunny Maida, a pastor and secretary of Masih Sakti Samiti, an umbrella body for various Christian groups. “[Christians] have people in charge of every few villages, and the person gets a salary,” said Jain, one of the VHP functionaries. 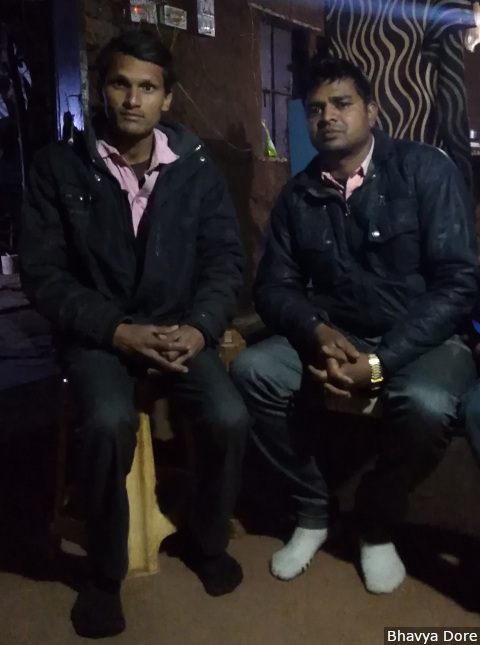 On Christmas Day in 2016, 11 days after the carol team was beaten up in Banswara town, Devchand Bhuriya and others were praying at their home-church when a group of men, including some neighbours, arrived and started pelting stones at them, they claimed. “They just came and attacked us, we don’t know why, we never had any quarrel with them,” said Bhuriya, adding that his wife was one of eight people injured and had to be taken to a hospital. Karan Singh, their son-in-law who was also present that day, said the attackers questioned their beliefs while leaving. Risham Bhuriya points to the place where stones were thrown at their home-church in Sabalpura of Banswara district in south Rajasthan on Christmas Day in 2016. The police charge-sheet notes the dispute to have been about sound levels. It notes that the volume was not lowered, following which the Hindu neighbours attacked the gathering. The Hindus claim the Christian group first attacked them when they requested them to lower the volume in keeping with an agreement in the village against playing loud music, and had no other contention with them. The police closed this FIR, finding this version of events untrue, and charged eight people for attacking Bhuriya’s function under sections related to trespass, rioting and causing hurt. But, they said, this could not be construed as a dispute related to religion. This is the second of a four-part investigation into 14 hate crimes reported from Rajasthan. You can read the first part here. The previous, six-part series reported from Uttar Pradesh can be read here.